Most people are principally aware of one culture, one setting, one home; exiles are aware of at least two and this plurality of vision gives rise to an awareness of simultaneous dimensions, an awareness that — to borrow a phrase from music — is contrapuntal. The renowned literature and culture scholar, Palestinian-American Edward Said might just as well have made the above observation as an accomplished pianist and music critic in his book, Parallels and Paradoxes: Explorations in Music and Society, for example, that he wrote with the Argentine-Israeli conductor, Daniel Barenboim. In regard to this year’s Ojai Music Festival — to last night’s gala event, the coming week’s overall program, and the spirit at the core of the festival — Said’s reflections are telling. Music can be that surprising meeting ground of cultures that transforms words, images, and ideas. Since 1947, composers such as Stravinsky, Copland, Foss, Messiaen, Boulez, Berio, and Adams have graced Ojai’s stage, presenting their works. Conductors Michael Tilson Thomas and Kent Nagano began their careers there. Marilyn Horne, Grace Bumbry, André Previn, and the Kronos Quartet have all performed the striking inventiveness of 20th-century music in Ojai’s rustic California setting. Tucked into the valley’s oaks and surrounded by hillside vineyards, olive orchards, and fields of Matilija poppies, Ojai (a fifteen-minute country drive from the coastal city of Ventura) offers a music festival sixty-five years strong and wearing a new face this season. Celebrating the opening of its completely renovated 970-seat Libbey Bowl, an outdoor concert venue in the town’s central park, the Ojai Music Festival swelled with pride on Saturday, June 4th in its “First Blast,” a taste of the festival proper, which runs June 9-12, 2011. To commence the evening’s cross-cultural presentation, a trio of musical virtuosos — guitarist Claudio Ragazzi, tango pianist Octavio Brunetti, and hyper-accordionist Michael Ward-Bergeman — performed selections from the Argentine genre, Chamamé, the indigenous Guarani word for rural dance songs from central and northeastern Argentina that are also a folk practice in Paraguay and southern Brazil. In these regions the pieces would be improvised by the dancers with a polyrhythmic structure (3/4 + 6/8) and a melody superimposed over the bass line. Particularly moving on Ojai’s stage was “Gabriella,” a nostalgic and contemplative piece, and the concluding “Rococo,” showing off the intricacies and nuances of the trio’s performance. 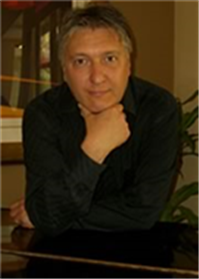 Claudio Ragazzi, a composer who grew up in Buenos Aires, is well known in the film and television world and has performed at Carnegie Hall, the Hollywood Bowl, Lincoln Center, and The Blue Note Jazz Club. He has collaborated with some of today’s most esteemed musicians, such as Yo-Yo Ma, as well as saxophone legends Joe Lovano and Paquito D’Rivera. Octavio Brunetti, having studied classical piano at the National School of Music in Argentina, has also performed with Yo-Yo Ma and has played with many of Argentina’s most prominent tango musicians and singers. Brunetti co-arranged Levante by Osvaldo Golijov and has performed at the world-famous Teatro Colon and the Teatro San Martin in Buenos Aires. Michael Ward-Bergeman first appeared in Ojai in 2006 in Golijov’s Ayre with soprano Dawn Upshaw and eighth blackbird; he was featured in the Grammy-nominated recording of it as well as in Golijov’s Azul, written for Yo-Yo Ma. Ward-Bergeman’s innovative techniques go hand-in-hand with new music technology and his hyper-accordion, an acoustic instrument with extended range and expressive capability. He has played at Carnegie Hall, having graduated from Berklee College of Music, where Ragazzi received the prestigious Duke Ellington Master’s. For the second part of last night’s concert, both the guitarist and the accordionist joined the new music ensemble, Grammy-award-winning eighth blackbird, along with Mark Dresser on bass, Jeremy Flower on laptop, Bridget Kibbey on harp, and Eric Ruske on French horn, to accompany Dawn Upshaw in a reprise of Ayre as it was featured for the 60th anniversary of the Ojai Festival. Inspired by Luciano Berio’s Folk Songs in 1964 — which draw from America, Armenia, Sicily, Genoa, Sardinia, the Auvergne, and Azerbaijan — the Argentine Golijov created Ayre as a companion work, merging Eastern and Western classical influences and Mediterranean folklore with his own original melodies. Ayre (“air” in medieval Spanish) takes us to 15th-century southern Spain with its co-existing cultures of Christians, Arabs, and Jews; the sung texts, in Ladino, Arabic, Hebrew, Sardinian, and Spanish, range from love songs to battle cries to prayer. and a 12th-century call to prayer by Yehudah Halevy, Golijov also includes two songs composed by Gustavo Santaollala. One of these, “Sueltate las Cintas,” brings out a particularly intimate side of Dawn Upshaw that highlights Golijov’s eclectic music of contrasts. Another, earlier moment in which Upshaw’s voice tenderly soars is with the accompaniment of Bridget Kibbey’s exquisite harp in the sorrowful, “Una Madre Comió Asado” (“A Mother Roasted Her Child”). The Ojai Festival considers itself a laboratory for creating, performing, and experiencing music by combining old and new forms in a program at the intersection of a variety of cultures. Composers, musicians, and singers bring the traditions of their countries, classical and popular alike, to an artists’ exchange of performances and panels shared by participating audiences. 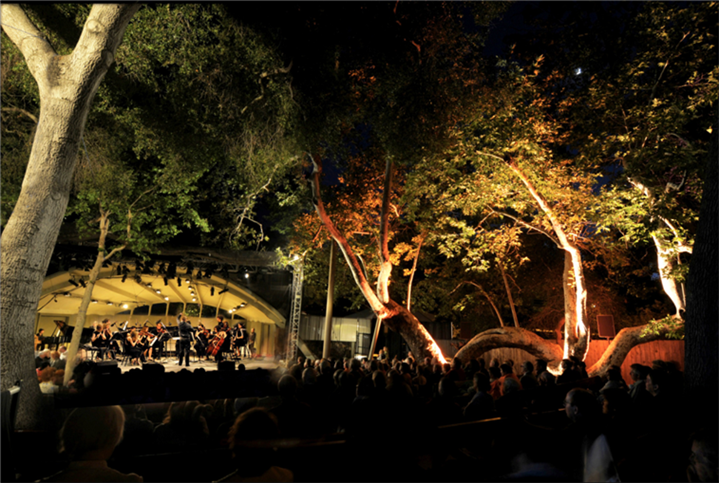 Known for its adventurous musical taste and camaraderie among artists, the Ojai Festival invites a new Music Director each year to create a unique program with a focus on music of today. 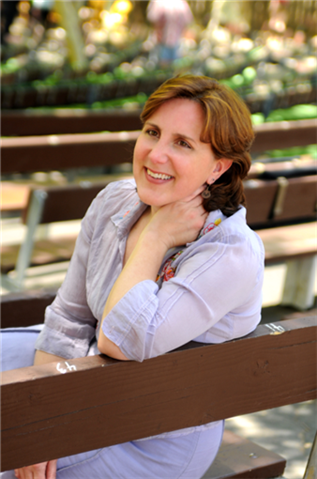 This year soprano Dawn Upshaw takes up the role, bringing some of her favorite collaborators to Ojai. On Friday, June 10, Peter Sellars directs her, along with red fish blue fish and Afghani musicians, in the world premiere of a staged production of George Crumb’s Winds of Destiny, juxtaposing American Civil War songs with music from Afghanistan. (It brings to mind recurring performances of Stravinsky’s A Soldier’s Tale, performed over the years at Ojai, first by musicians and actors, then with puppets, and then by performance artists.) 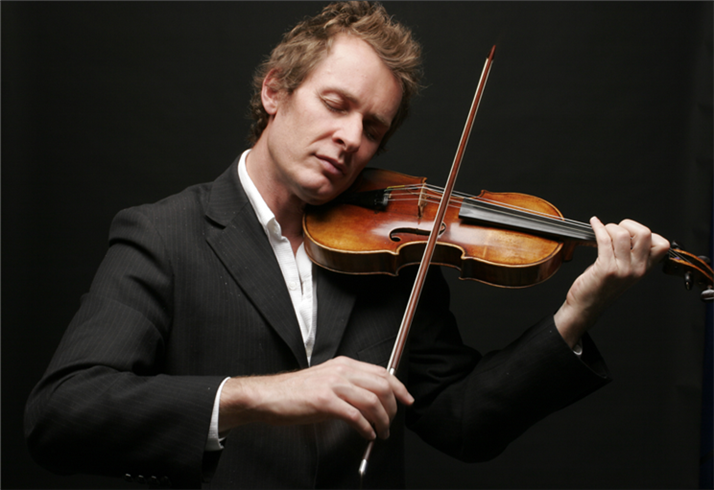 On Saturday, June 11, violinist/composer Richard Tognetti leads the Australian Chamber Orchestra in morning and evening concerts and continues on Sunday evening. On Sunday morning, June 12, jazz composer/conductor Maria Schneider conducts her 18-piece jazz orchestra with influences from classical music as well as Spain and Brazil; in the evening she conducts the world premiere of her Winter Morning Walks with Dawn Upshaw singing. From the sacred music of Bach to the most famous of Mozart’s opera roles to modern works by Stravinsky and Poulenc, Upshaw’s repertory has taken her to Salzburg, Paris, and Glyndebourne as well as the Metropolitan Opera, where she began her career and has appeared nearly 300 times. New works written for her include John Adams’ nativity oratorio, El Niño, as well as Golijov’s chamber opera Ainadamar and his song cycle, Ayre. A fellow of the MacArthur Foundation in 2007, Upshaw was the first vocal artist to be awarded the five-year “genius grant.” She is a faculty member of Tanglewood Music Center and is the Artistic Director of the Bard College Conservatory Graduate Vocal Arts Program. Two symposia will be held in Ojai this week, on Friday from 1:00 to 5:00 with Richard Tognetti and Peter Sellars and on Saturday from 3:30 to 4:30 with Dawn Upshaw. Visitors to the festival this year will also be the first to experience the Sound Arch — the new public art installation by MacArthur Award recipient and sound sculptor Trimpin. The 12-foot installation at the entrance of the Libbey Bowl plays as guests enter upon its lawn. The Sound Arch is built of twenty-four reclaimed metal tubes of varying lengths with resonators and internal mallet mechanisms that emit melodic chime-like sounds activated by motion sensors. As visitors approach the sculpture, they hear the electronically pre-composed musical sequences the artwork produces. This year both sightlines and comfort have been enhanced in the Bowl by replacing the previously used wooden benches with individual, sculpted plastic seats with arm rests. Many additional trees have been planted surrounding the theater area to add both shade and beauty to the already rustic and graceful atmosphere. Even the evening’s drizzle did not threaten devotees at the “First Blast” who — at least those who sat in the center section — were protected with a sky net draped above the Bowl. Hopefully next weekend will bring out the stars. For tickets and information visit www,OjaiFestival.org or call 805-646-2053.